Random House Children’s Books has launched its WONDER CERTIFIED KIND CLASSROOM PROGRAM, an educational initiative focused on using the property to teach kindness in schools with rewards and incentives. With over six million copies sold around the world, R.J. Palacio’s inspiring book WONDER (Knopf Books for Young Readers) has inspired global kindness and anti-bullying campaigns, becoming part of curricula in schools across the country. 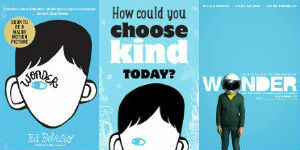 As part of the film’s “Choose Kind” campaign, the WONDER CERTIFIED KIND CLASSROOM initiative will focus on bringing acts of kindness, acceptance, and inclusion to life for third to sixth grade students. Serving as a resource for educators, distributed materials will embrace themes of empathy as part of a year-long lesson plan through curated challenges, including art projects, group discussions and class unity activities. In partnership with Walden, Random House, and film partner GapKids, each challenge is associated with a high-profile reward to ultimately drive engagement, encourage classrooms to participate, and give back to the film’s charity partners MyFace and CCA, participating classrooms will be rewarded throughout the year for their acts of kindness and, ultimately, earn the accreditation of being a “Certified Kind Classroom” once activities have been completed. WONDER has demonstrated the power of a book to spark a cultural dialogue and to inspire children and adults to think differently about the world around them. 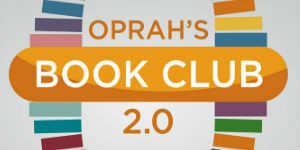 For more details about the WONDER CERTIFIED KIND CLASSROOM PROGRAM, click here.